Having recently moved to Bournemouth I was looking for some local narrow gauge to model, and stumbled upon pictures of the Furzebrook Railway in Ivo Peters’ excellent book ‘The Narrow Gauge Charm of Yesterday’. At the same time I had seen adverts for Paul Bailey’s (DJB) Accucraft Edrig conversion kits to coal firing, and a plan was hatched. An Edrig power unit was ordered from Mr. Boyes at TrackShack and I put myself on the waiting list for the next batch of DJB kits. The end result is my model of Manning Wardle 0-4-0 ST No.1854 (built 1914) 'Quintus' from the Furzebrook Railway (Pike's Tramway) on the Isle of Purbeck in Dorset. The line was 2' 8'' gauge and ran from the Pike Brothers clay pits at Furzebrook (near Corfe Castle), crossed what is now the Swanage Railway near Norden and carried on to a wharf on the River Frome at Ridge near Wareham. The clay was then taken down river by boat and into Poole Harbour. The railway had seven locomotives, all named with Latin numbers. ‘Secundus' still survives at the museum in the goods shed at Corfe Station along with one of the original wooden wagons. Interestingly, on the neighbouring Fayles Tramway at Norden, Welsh Highland Railway ‘Russell’ ended its working life before being preserved. In 1936 when the Welsh Highland was closed ‘Russell’ spent five years laid up in Dinas shed and then six years working for the Ministry of Supply at Hook Norton Mines in Oxfordshire. In 1948 Russell was bought by the Fayles Tramway and came to work at Norden Mines on Purbeck. The leading axle gave trouble (due to the poor quality of the track) and the loco latterly worked as a 0-6-2T. Russell, looking in a very sorry state, still bears the scars of having been butchered to reduce vertical clearance enough to go through the Moelwyn tunnel on the Ffestiniog Railway. 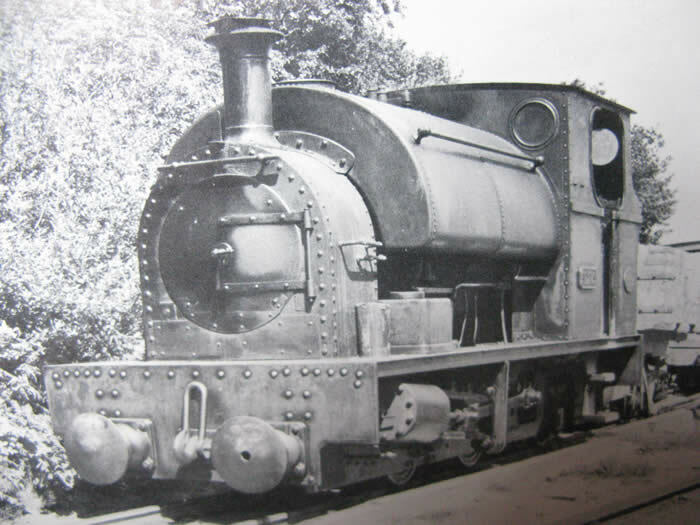 In 1953 a further boiler certificate was refused, and she was purchased by the Birmingham Locomotive Club for exhibition at the narrow-gauge Museum at Towyn. Lots more information and pictures (modelling inspiration!) on narrow gauge lines in Purbeck can be found at the Purbeck Mineral and Mining Museum website www.pmmmg.org. The model of 'Quintus' was completed this summer and still requires lining, and detailing, but I am enjoying running it for a bit first. 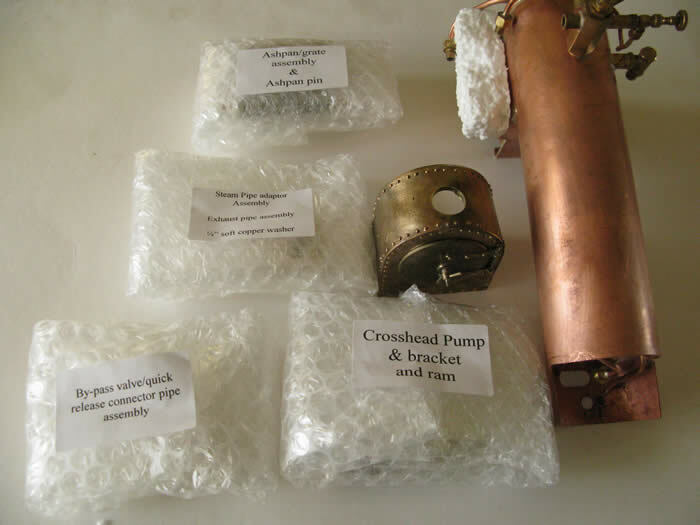 The DJB coal fired conversion kit included the boiler, complete with water gauge, filling system and regulator, a replacement cast smokebox and a crosshead driven water pump with bypass valve. The boiler is incredibly free steaming and I’m having to learn how to fire the loco to stop it blowing off all the time. I built a water carrying saddle tank and the cab from brass sheet and after etch priming, painted the bodywork Rover Brooklands Green (a good British colour!). The boiler, smokebox and cab roof were painted with high temperature matt black exhaust paint and cured on a low heat in the oven. There are no colour photos of ‘Quintus’ and nobody I’ve contacted seems to know what colour it was originally. I decided on a dark green because that was the Manning Wardle standard factory finish although I didn’t research the shade. I did speak to someone on the Purbeck Mineral and Mining Museum stand at the Dorset Steam Fair and he said it was either green or maroon. As this was after I had painted it green I’m choosing to ignore the nonsense about maroon! So up until now, having been completely fixated with Welsh narrow gauge lines, I’ve found a local source of inspiration which I am very much enjoying exploring. I have already started building Furzebrook No.6 : yes you guessed it, ‘Sextus’. This loco is a large 0-4-2ST Peckett for which I have again used an Edrig power unit as the basis, extending the frames and using a Roundhouse C&M Atlantic rear bogie. This will be gas fired; one coal fired loco is enough for now! Also, for the future, as I have explained, there is the excuse for a model of ‘Russell’, and the Lynton and Barnstaple is a lot closer than it was from Leeds……….